The death toll has now increased to 13, all deaths reported from Tamil Nadu. The state of Tamil Nadu had evacuated close to 82,000 people from low-lying areas. Another state Odisha had evacuated 80,000 people to 470 relief centers. The Union home secretary is monitoring the situation. TN Chief Minister Palaniswami spoke with Union Home Minister Rajnath Singh. Singh assured all possible assistance. About 500 Km of power line was disrupted after cyclone Gaja hit the coastal Nagapattinam. It would take about 2 days to get power restored. Cyclone Gaja was a major cyclone to hit the East coast in recent weeks. The CM announced ₹10 lakh to the bereaved families of those died due in the cyclone, ₹1 lakh for seriously injured and ₹25,000 for minor injuries. He further asked public to not panic, and said authorities are working towards getting situation to some sort of normalcy. The CM requested aid from the central government. 82000 people have been shifted to 471 relief centers. Indian Navy joins relief work, two naval ships equipped with divers, helicopters and inflatable boats docked to provide aid. 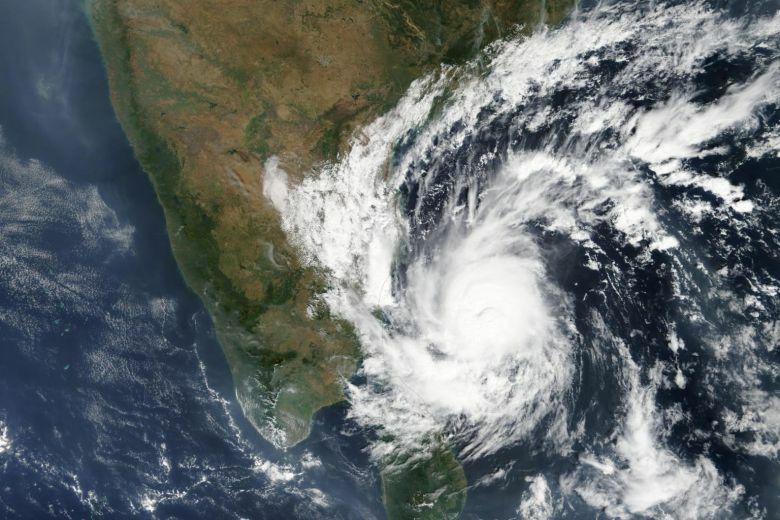 Kerala’s Kochi district faces severe rainfall as the Cyclone inches towards Arabian sea. Its estimated about 15,000 electric poles were either damaged or uprooted as Gaja passed over in TN. Private businesses were asked to relieve their employees early, most schools and colleges remain shut. Many boats on Nagapattinam were carried away by strong winds. People are advised not to park their vehicles under tress or poles. An average of 30.34 mm rainfall was recorded in the districts affected. A cyclonic storm Gaja crossed Tamil Nadu and Puducherry coasts early hours today. These states were put on high alert. More than 76,000 people were evacuated and shifted to relief centers. A holiday has been declared for schools and colleges in many districts on Friday. Trichy, Thanjavur and Pudukkottai witnessed heavy rains. The storm is moving westwards and will gradually weaken in the next six hours. Wind speed recorded at landfall in Atirampattinam – 111 kmph, Nagapattinam – 100 kmph and Karaikal – 92 kmph. The TN state government announced helpline numbers 1070 (state) and 1077 (districts) for assistance. The Indian Railways cancelled upto 4 passenger trains. 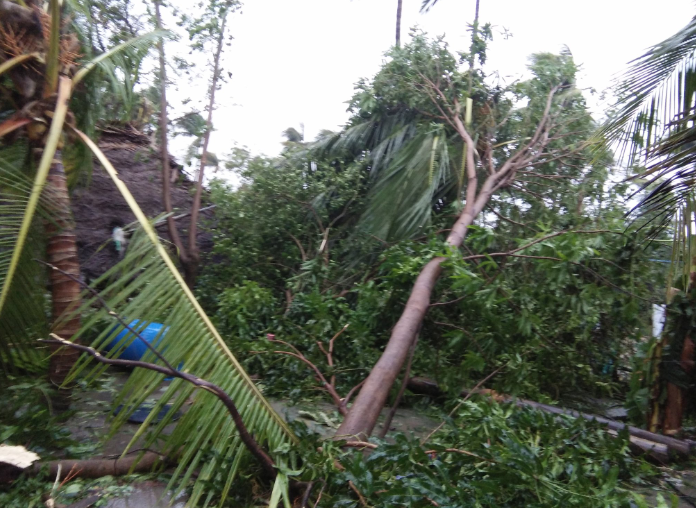 About 6 people were killed in Nagapattinam and Tiruvarur districts after Cyclone Gaja made landfall. Out of the 6, 5 died due to wall collapse and 1 was electrocuted. Many trees were uprooted and also power supply was cut off. The fallen electric poles may have to be replaced so it could take upto 48 hrs for the power lines to be restored.